Most teachers work hard throughout the school year for a modest salary, and many take on part-time jobs in the summer or seasonal work in between. It's hard to make those dollars stretch to cover expenses and bills, let alone save money toward retirement. The answer? Best not to hide your head in the sand and ignore the situation. You can do more than you think possible if you make a plan and start doing what can TODAY to make sure you have enough to last you through retirement. We're not going to tell you how to spend your money or how to pinch pennies. Rather, we have some practical financial wisdom from professionals from Morgan Stanley who presented a webcast on this topic earlier this summer. You can see the entire webcast here. Retirement savers are less likely to have pensions. Interest rates are lower, and with them, returns for retirement investors. 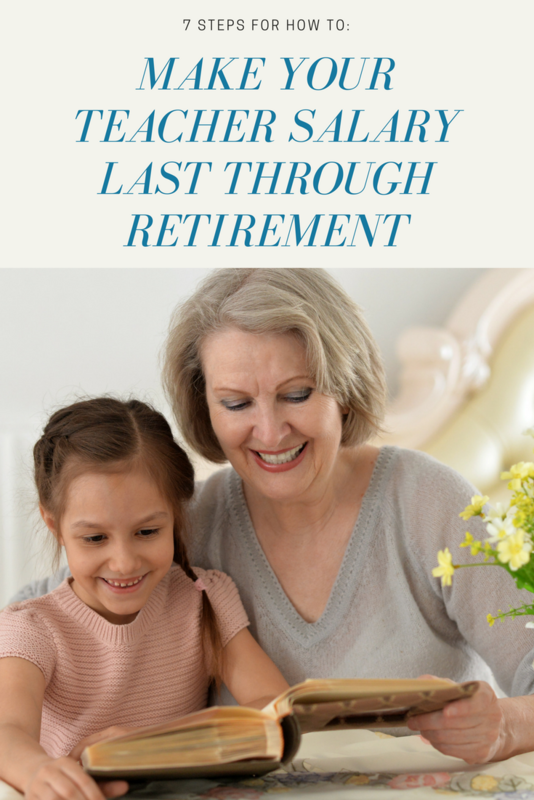 With these challenges for educators come questions about how to make your salary last through retirement. How does your strategy need to change when you've gone from saving to spending? What can you do to make up for lower investment yields? How can you ensure your savings will last? Will inflation impact your quality of life in retirement? These are serious questions to consider, so let's talk about steps we can take. Your financial adviser can help you plan for how much you'll need in retirement and how to reach your goals. In other words, don't put all your eggs in one basket. Diversified portfolios can help mitigate risk. You might have some funds that are more aggressive, some more conservative. You might balance your portfolio in a way that is aggressive in your younger years, and then more conservative as you get nearer retirement. Your financial planner can help you figure out what model works best for you. What does the future hold? Some things we can plan for, and others we can't. Future economic and personal circumstances can be unpredictable, but you can still plan for those unknowns. In some cases, the best strategy for managing those risks might be a specific mix of traditional products. In others, non-traditional investments and/or insurance products like annuities may be called for. 4. 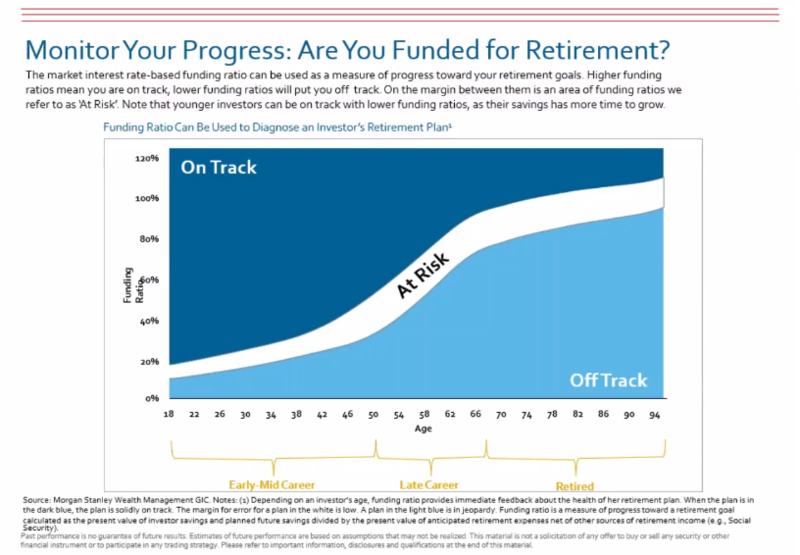 Monitor Your Progress: Are You Funded for Retirement? Finances may not be your thing, which is why a professional can help you make decisions along the way and monitor your progress. You can use a market interest rate-based funding ratio as a measure of progress toward your retirement goals. You can see the chart below as a reference for when you're on track, off track, or at risk. 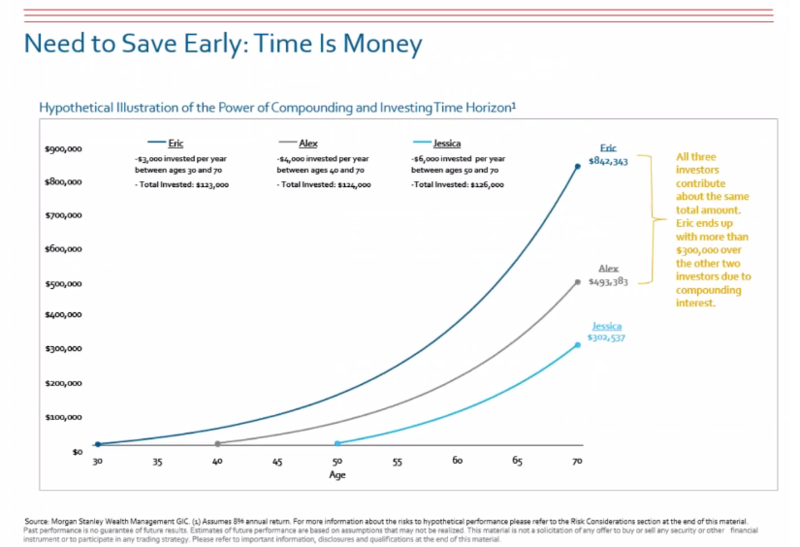 Note that younger investors can be on track with lower funding ratios, as their savings has more time to grow. There are different levers you can pull if you are off track. Can you start putting more savings away? Are you willing to take on more risk? If you're monitoring your progress and keeping a close eye on funding ratios, you can take action to close those funding gaps in your portfolio. Taxes can significantly erode your investment returns over time. Be mindful of where and how you own investments. Spend time with your accountants or financial planner to determine how you can be most tax efficient when you take money out of your accounts in retirement. If you can afford it, wait to take Social Security. 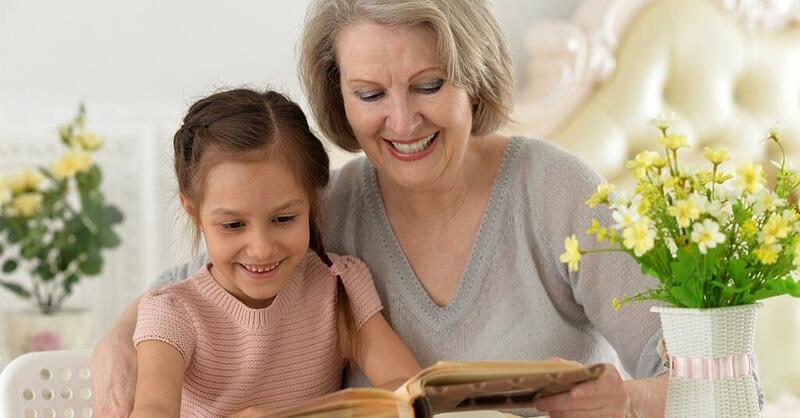 Some recommend waiting until age 70 to stretch your social security benefits to the max. 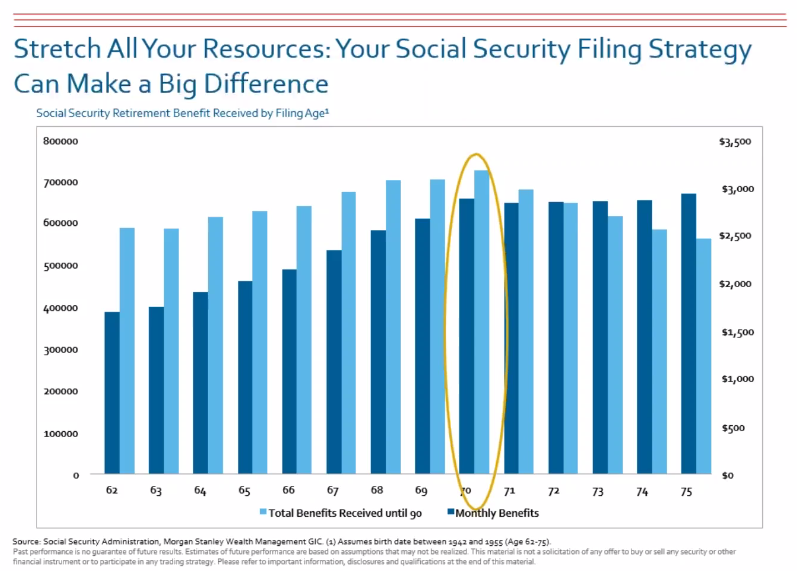 If you take Social Security benefits early, your monthly benefit and total benefits received until age 90 will be much lower than if you had waited. Age 70 is about the sweet spot when your total and monthly benefit until age 90 is highest. Now, everyone's situation is different and circumstances may compel you to take benefits early, and that's OK. If you're in good health and favorable circumstances, many advisers recommend waiting. Watch our webcast on Social Security planning here for more information. What does the future hold? None of us knows for sure, but we do know that wishing and hoping you have enough money to last through retirement is a recipe for disaster. If you start taking control of your finances today, you'll at least know that you did everything in your power to plan for a comfortable and productive retirement for yourself and your family.